Many historically black colleges or universities — known as HBCUs — are struggling. They struggle financially. They struggle to attract and keep students. President Barack Obama acknowledged the current predicament. Public HBCUs, in particular, are threatened by a host of issues. Those schools include Cheyney University in the Philadelphia suburbs. Sophomore Anitra Jackson is one of just two math majors at Cheyney. She plans to be a computer engineer for NASA and wanted to attend a small school. 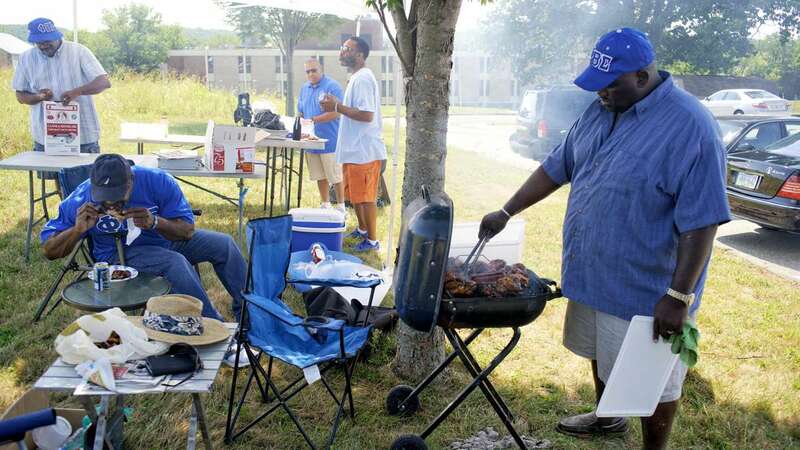 Cheyney has about 700 students, a 30 percent drop from last year and half of the enrollment five years ago. She came to Cheyney because of the Keystone Honors Academy program offering full scholarships — including tuition, room and board — to qualifying students. The Delaware County native, who’s on the university’s track team, plans to finish her degree at Cheyney, but she might transfer. A double major in math and computer science, Jackson said getting math courses can be difficult. She worries Cheyney is in danger of closing. “I know a lot of us are nervous … about it,” she said. “But at the same time, we know, since it is like a national treasure, we’re hoping that we’ll just be able to pull through … cause I don’t want Cheyney to close. 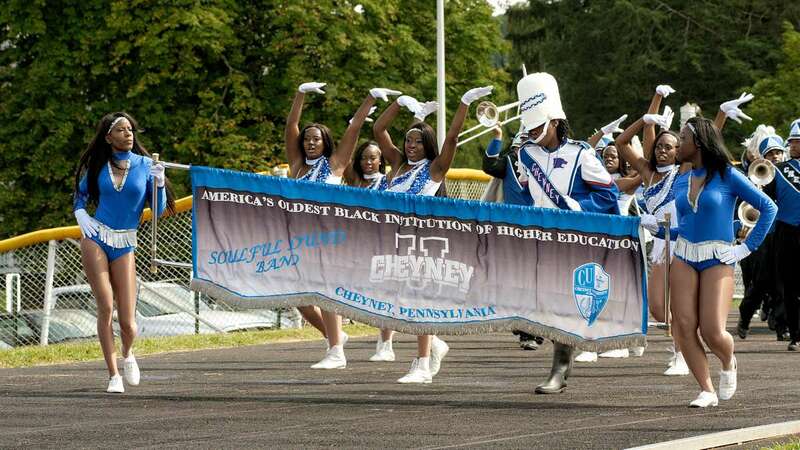 The nation’s oldest historically black college, Cheyney is one of 14 universities that make up Pennsylvania’s State System of Higher Education, which includes West Chester and Millersville universities. 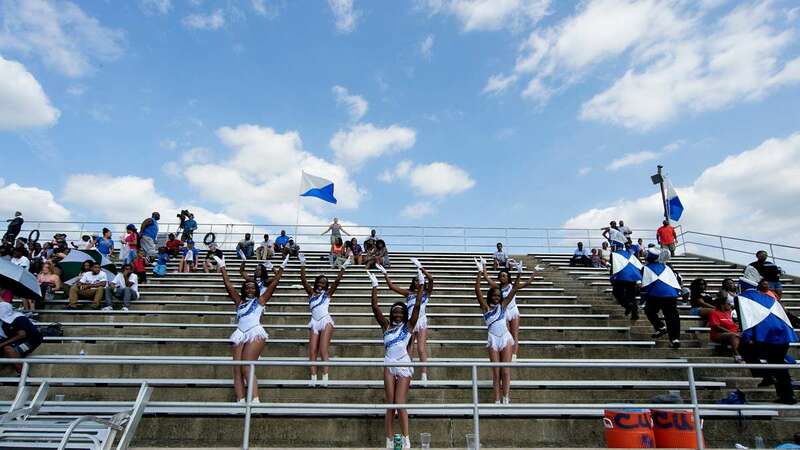 Straddling Chester and Delaware counties, Cheyney has had enrollment and financial issues for years, but the situation worsened last year. The university’s accreditation was placed on probation. And, without it, students would no longer be eligible for state or federal financial aid. Cheyney has relied on its third line of credit from the state system, and university administrators are waiting to see if the school will have to repay up to $30 million in federal aid funds it mismanaged. But the state-owned school is not the only HBCU fighting for its survival. Outsiders in several states have proposed HBCUs merge with other universities, but public outcry has prevented that consolidation in most cases. 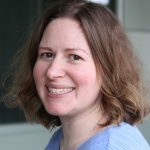 “The publics are under some interesting pressures,” said MaryBeth Gasman, director of University of Pennsylvania’s Center for Minority Serving Institutions. She says HBCUs generally have to do more with less. Representing only 2 percent of all colleges and universities in the country, HBCUs enroll 8 percent of African-American college students. But their graduates make up 21 percent of African-Americans getting diplomas. 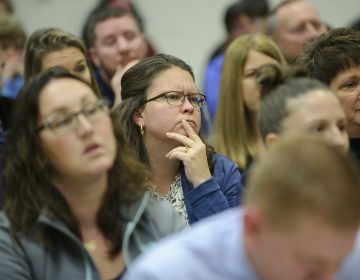 “What that shows us is that they are doing a better job with low-income black students, and I think that’s really important … because they’re doing it with fewer resources,” said Gasman. Public black colleges tend to enroll low-income and underprepared students who can take longer to finish. Cheyney’s interim president Frank Pogue said that, in spite of limited resources, the school has a reputation for transforming underprepared students. Cheyney’s six-year graduation rate is 26 percent. The national average is 43 percent. The majority of HBCU students are on Pell grants — including 75 percent of Cheyney students — a far different student makeup than the rest of the state’s public institutions, Gasman said. “So you can’t hold a public black college to the same expectations as you can the state’s flagship institution or an institution that enrolls students who are better prepared and from higher-income homes,” she said. 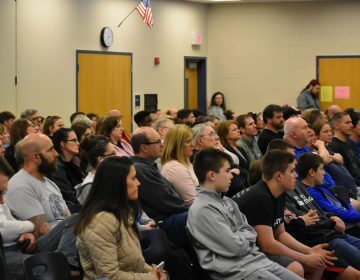 Another factor for low graduation rates is that the data is based only on first-time, full-time freshmen and doesn’t include transfer or part-time students or those who drop out and start again, she said. Struggling public HBCUs are in trouble due to a history of unequal funding, according to some educators. Pogue, Cheyney’s president, said that longstanding tradition of neglect and underfunding needs to be acknowledged. “We have never been equally supported,” he said. “And so this feeling that one size fits all, that all 14 universities in the State System of Higher Education have somehow, at some point in their histories, have been the same is not true. It’s not true today. 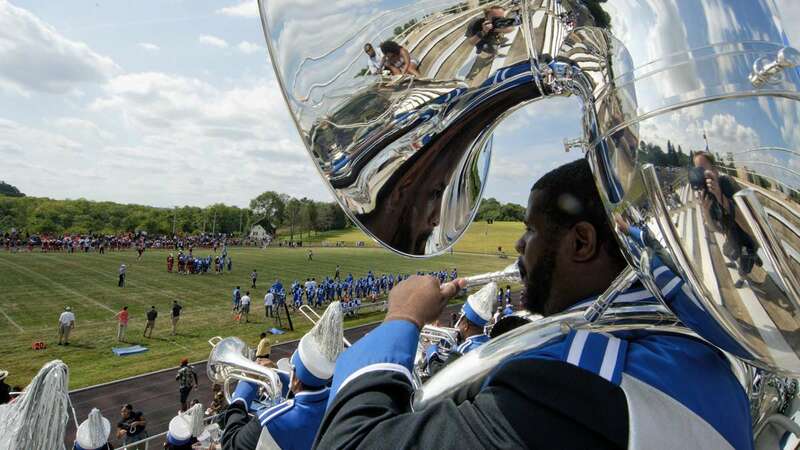 A coalition of Cheyney alumni and supporters has filed a federal lawsuit against the state, alleging racial discrimination and unfair funding. Pennsylvania higher education officials say Cheyney receives the most per-student funding, four times the system’s average. The funding formula is primarily enrollment driven; since Cheyney is the smallest of the 14 state-owned universities, it receives the lowest amount — 3 percent — of the state funding. Gasman, the HBCU expert, said equal funding now isn’t always enough. “So if you have a history of not being funded equitably, even if you’re at some point being funded equally, you’re not funded equitably because your wealth has not been building the same way as, let’s say, a flagship institution or some of the majority institutions,” she said. 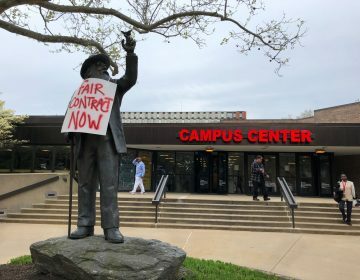 Cheyney’s financial troubles are compounded because it has no reserves or an endowment and is operating with an estimated $16 million deficit. 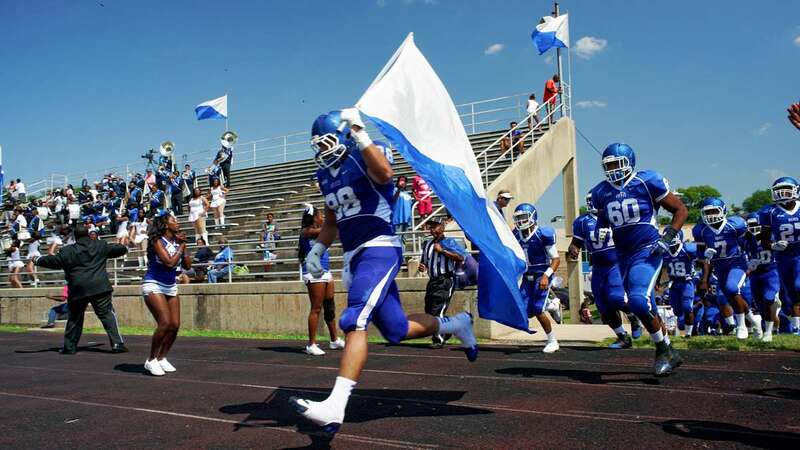 Cheyney football player James Madlock is a biology major who wants to be an anesthesiologist. The freshman from Bowie, Maryland, decided Cheyney was the right place for him after seeing the university’s new $23 million science center — the campus’ first new academic building in 30 years — and its focus on science, technology, engineering and mathematics, known as STEM. Madlock was aware of Cheyney’s current struggles before enrolling, but decided they wouldn’t hinder his plans. The nation’s 105 HBCUs should be given credit for the critical role they provide, Gasman said. Losing HBCUs isn’t just an issue for alumni or current students. A recent Gallup study reveals black graduates of HBCUs are more likely to succeed financially than other blacks with college degrees. And these grads also feel far more confident they are prepared for life after college.